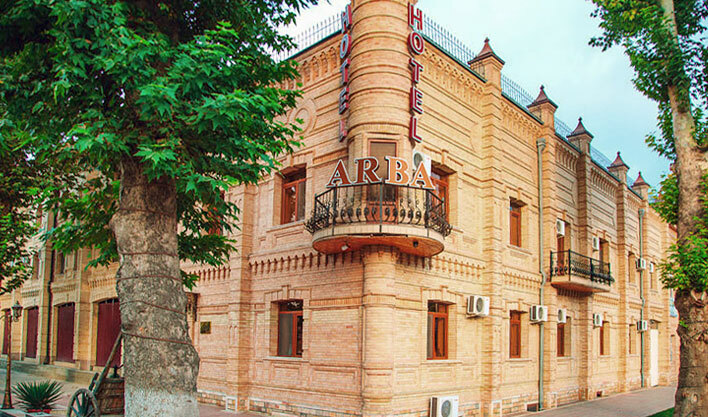 Hotel Arba, Samarkand, Uzbekistan. 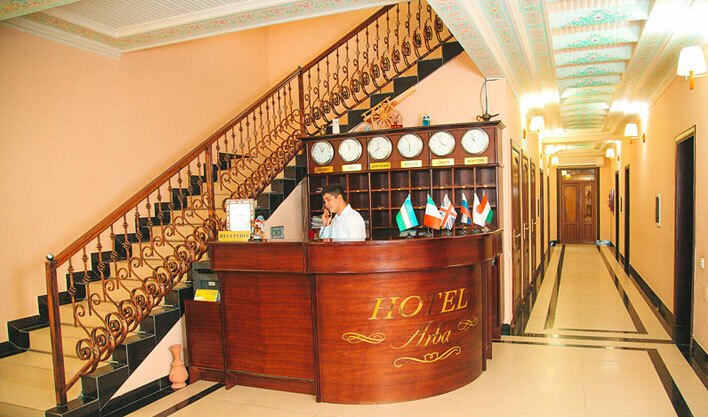 All hotels of Uzbekistan. 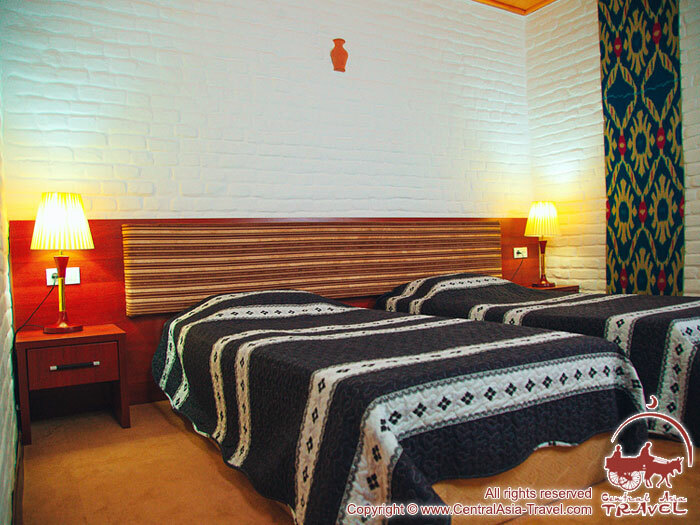 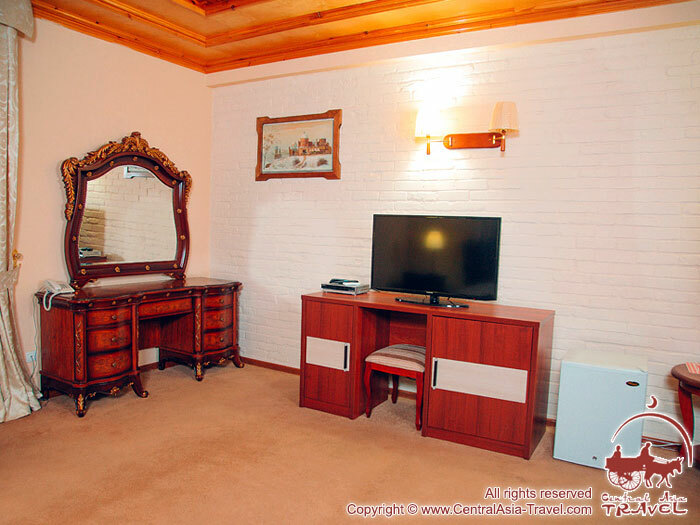 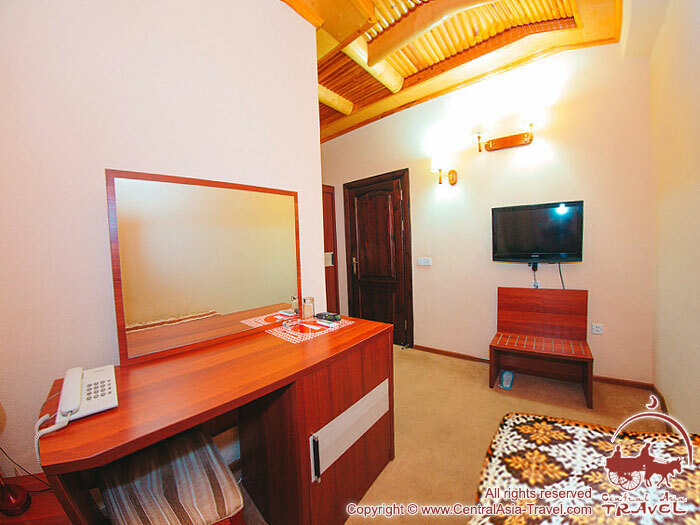 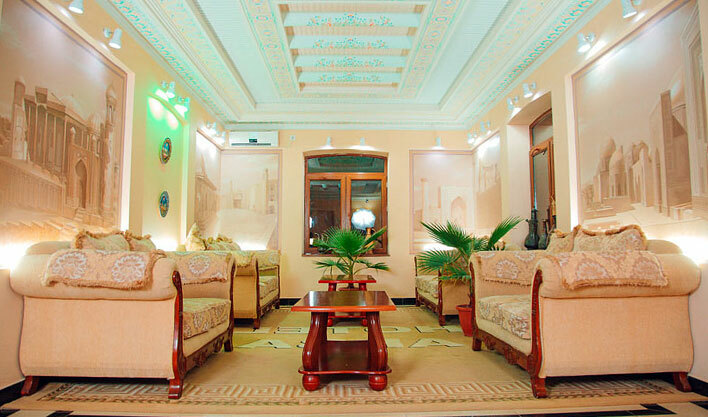 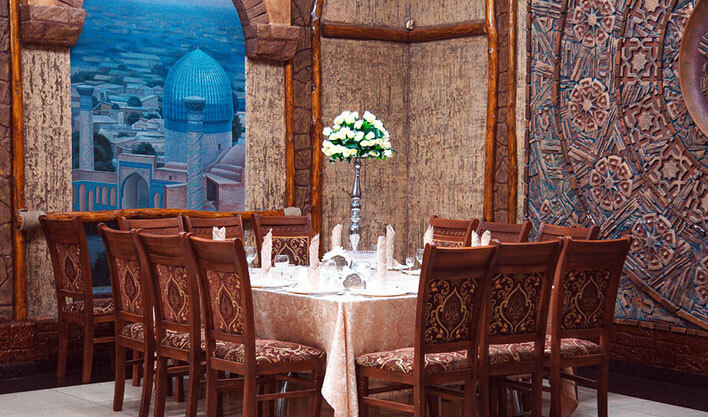 The hotel Arba is located in the modern part of Samarkand, several minutes by car from the city’s historical centre. 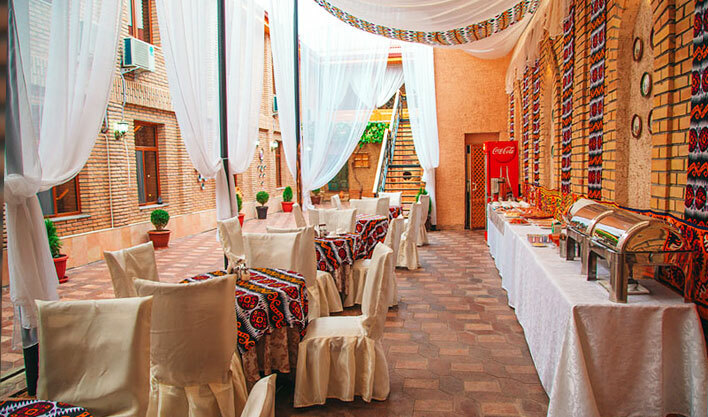 Next to the hotel there are the Russian Orthodox Church of St Alexis and the St. John Roman Catholic Church. 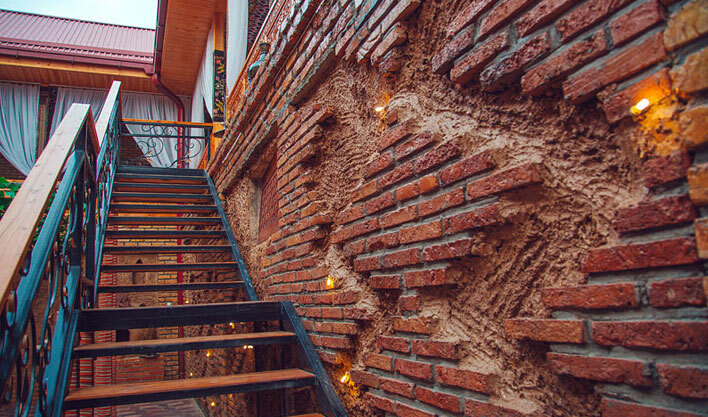 The exterior of the building is made in the so called Russian colonial style of the early 20th century, ornamented with simple decorative patterns and faced with bricks. 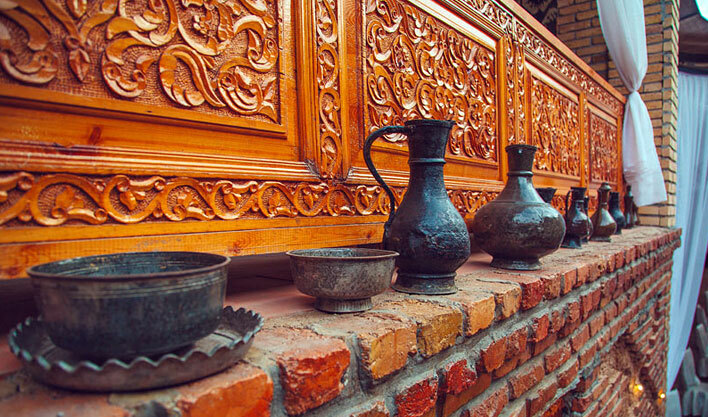 The interior features delicate ganch bar reliefs harmonising with elegant furniture, pictures, copper jugs and doorways with intricate fretwork. 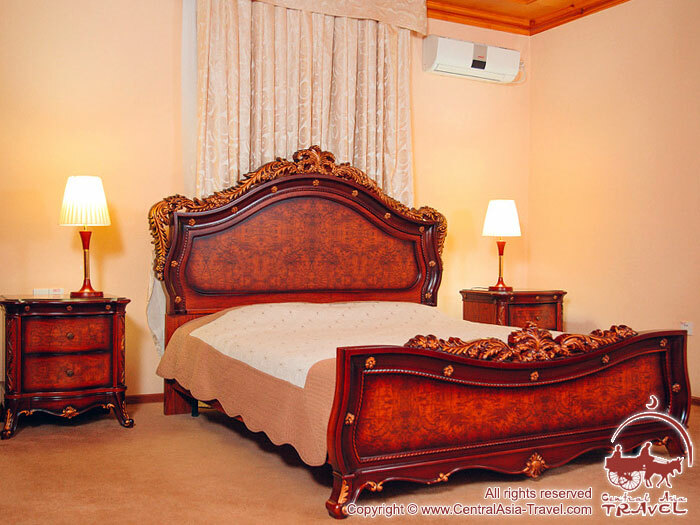 The rooms, however, are not so pompous and decorated in the classical style, with excellent furniture and all other necessary things. 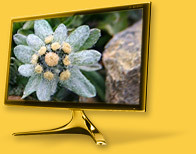 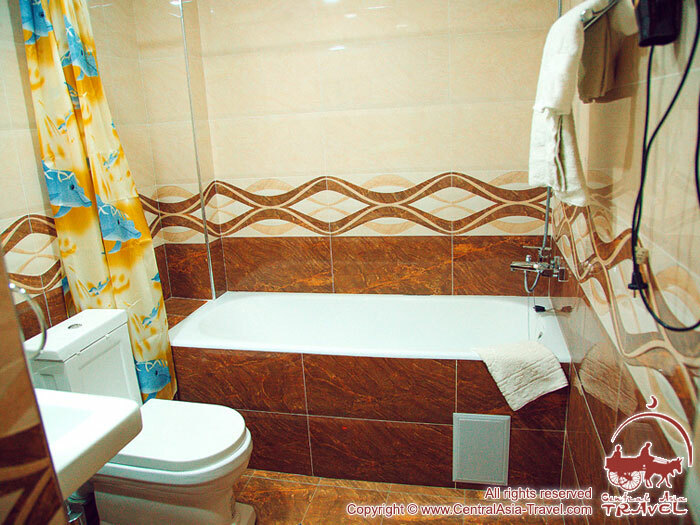 All the materials used in the construction and decoration are absolutely health-friendly. 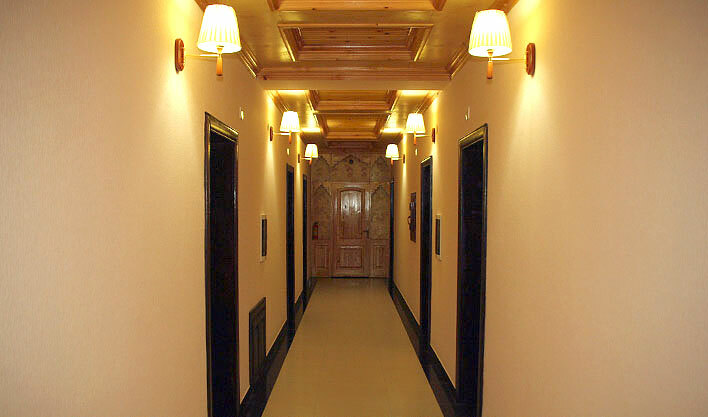 The hotel consists of 31 rooms. 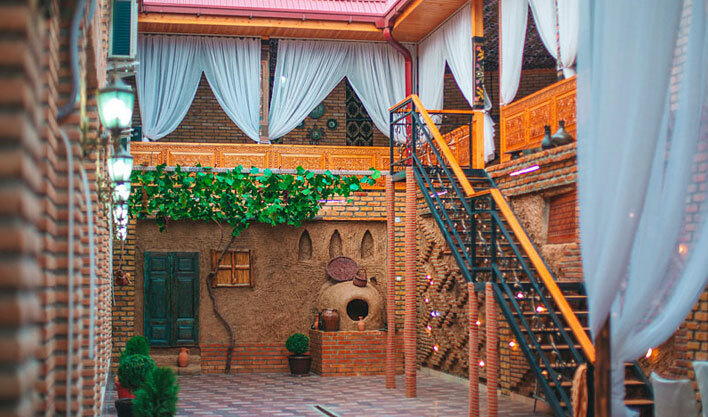 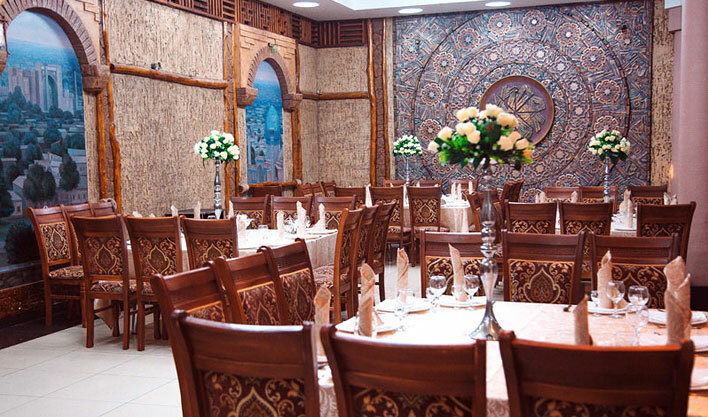 • The restaurant Staraya Arba is richly and beautifully decorated and employs excellent cooks, masters in their profession able to cook local and European dishes. 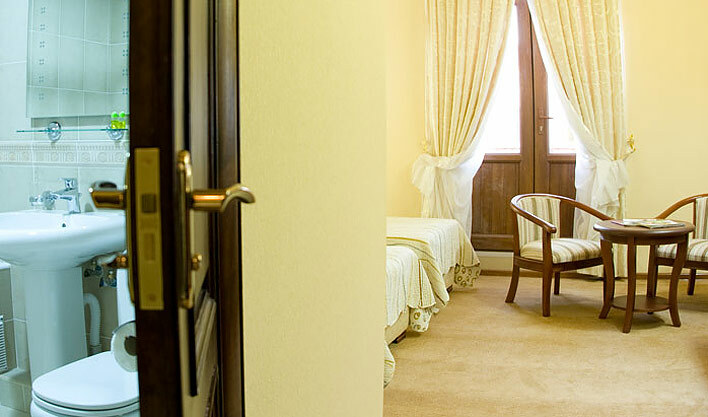 • Serving of rooms for 24 hours a day. 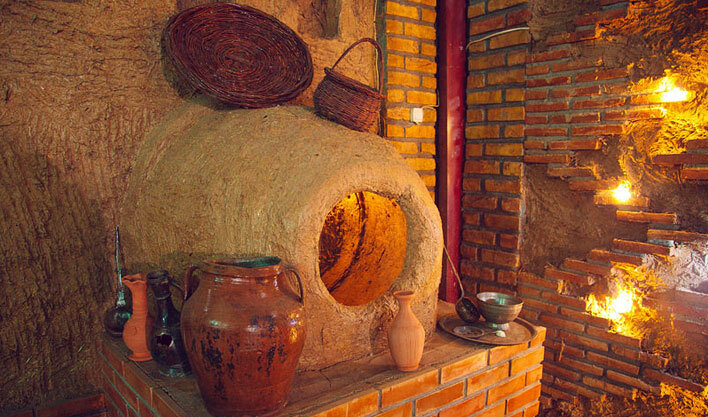 • Storing of precious things. 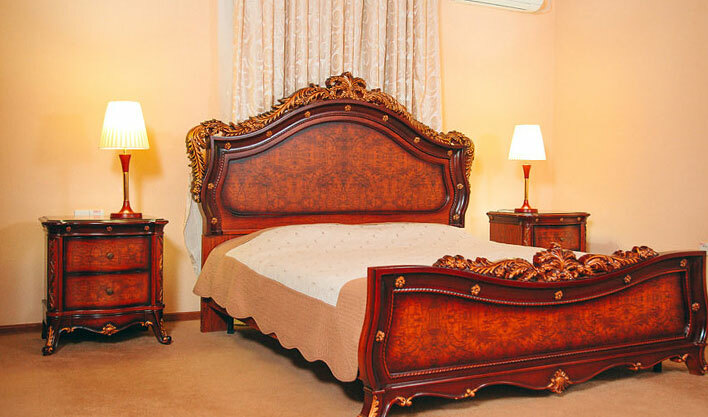 • Services of a secretary. 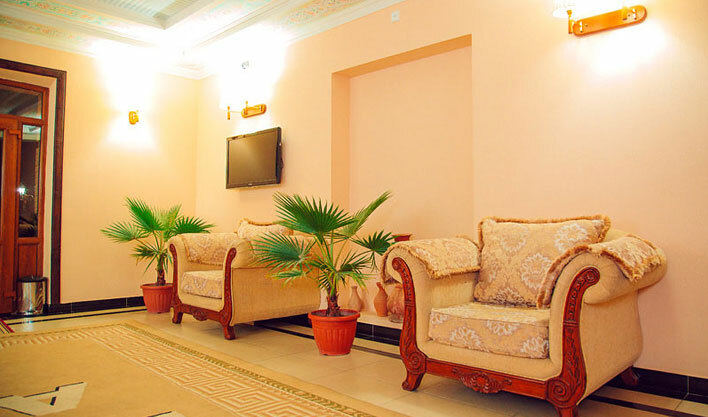 • Meals can be delivered to the suite. 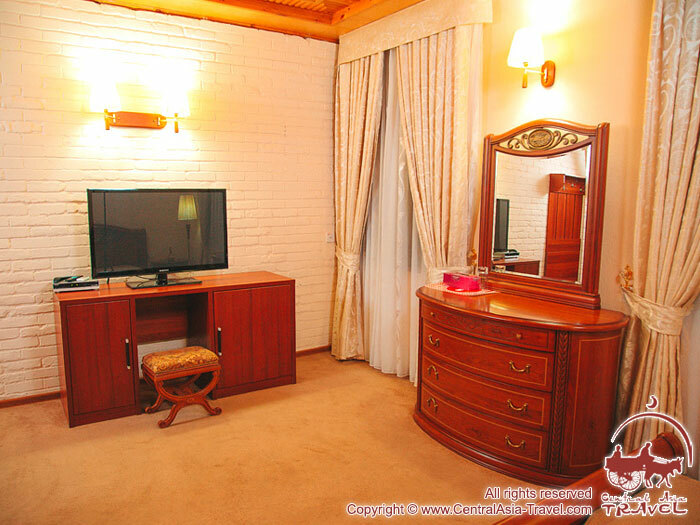 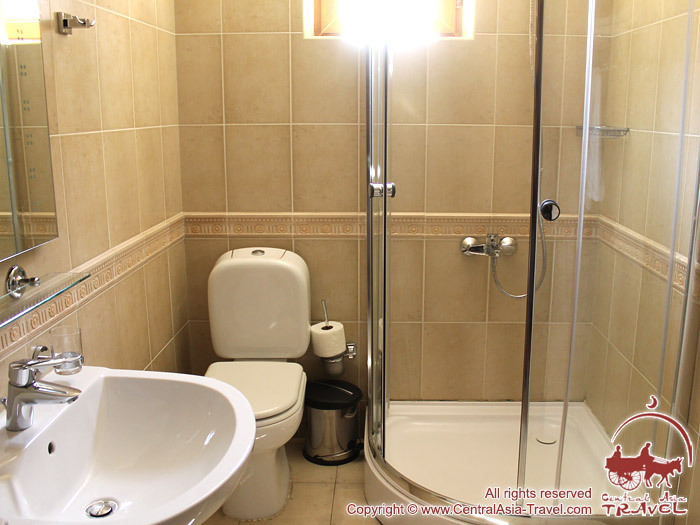 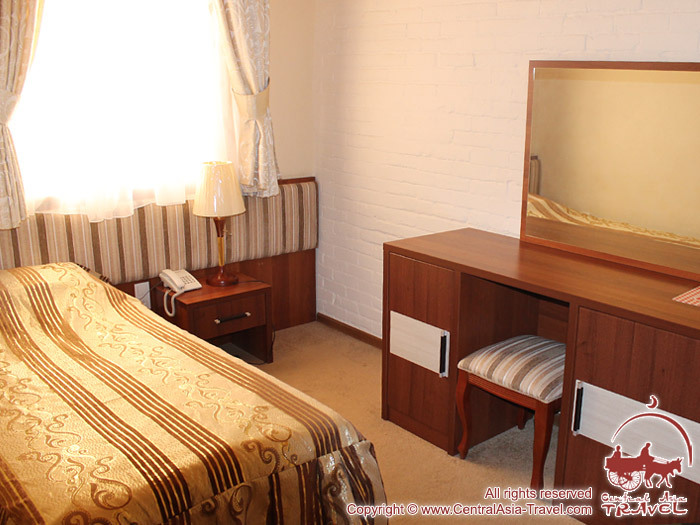 Large and light suites consisting of two rooms with comfortable and elegant furniture. 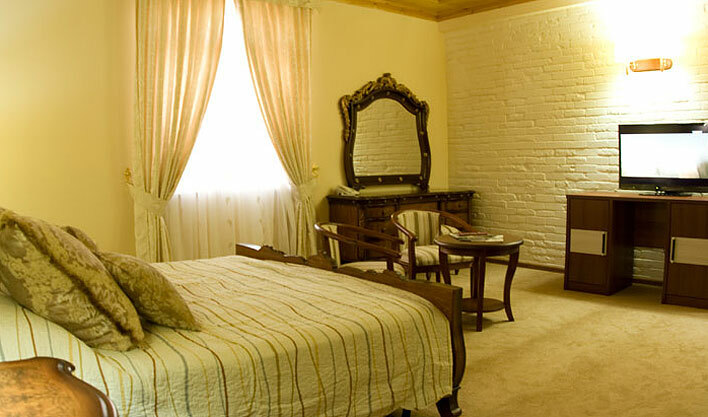 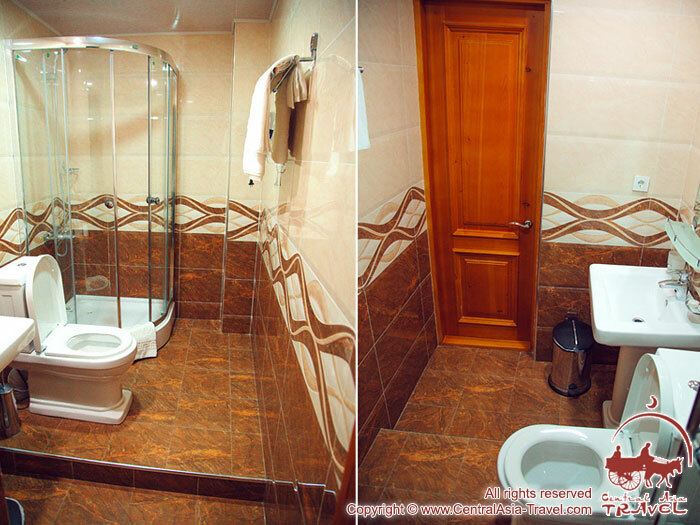 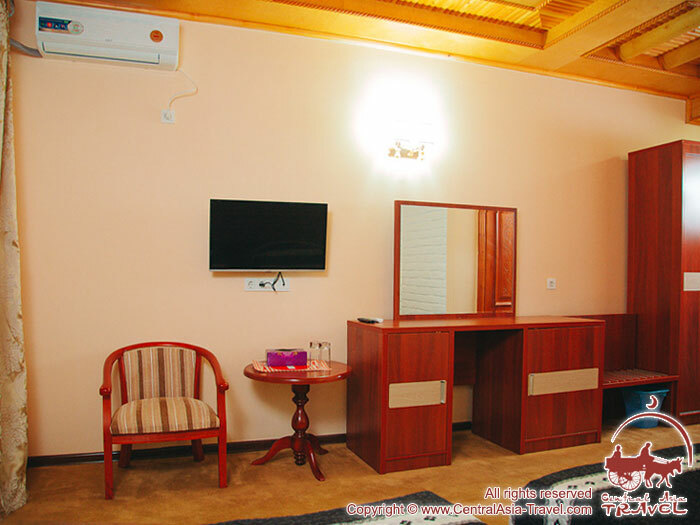 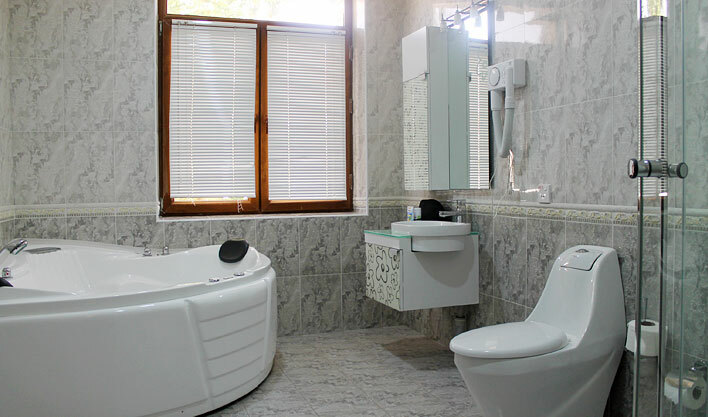 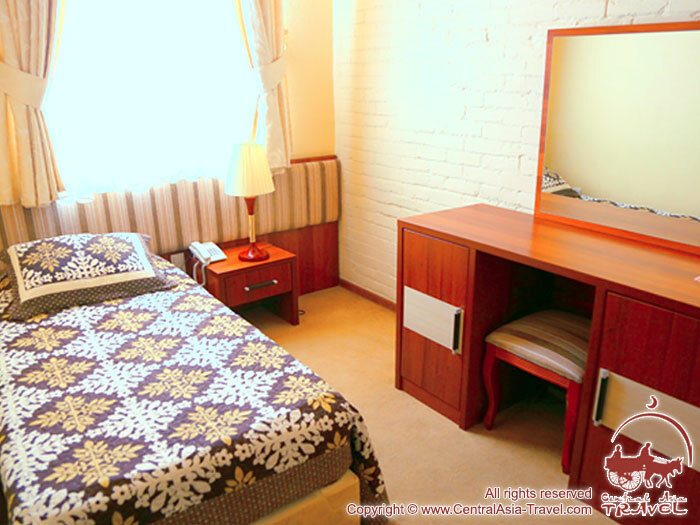 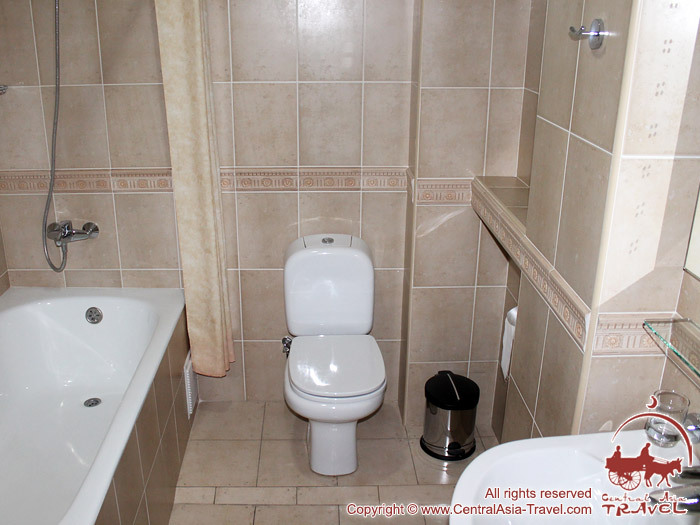 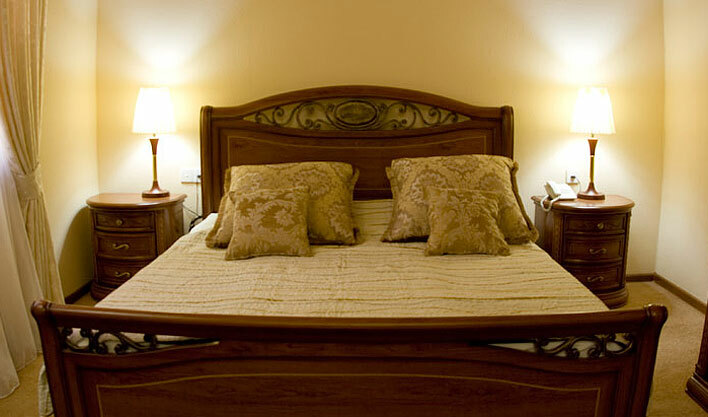 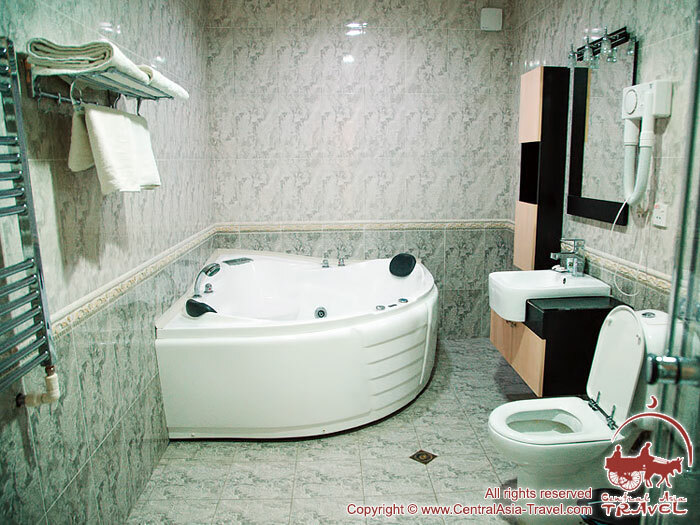 All rooms are equipped with satellite TV, air conditioners, bathrooms, Internet.